Schedule & Manage Your Delivery NEW!! Hi, I'd like to show you this page I found on Morris Home's website. *Items designated as In-Stock are available to be picked up during scheduled pick up times from our distribution center or reserved to an order and scheduled for delivery. Please note that our product data feed is not real-time so please call us to confirm that the item is still in-stock. *Items designated as On Display are shown as a sample in our showroom for you to view. Products are not sold off of our showroom floor. TEMPUR material responds to your temperature, weight and shape, for truly personalized comfort and support. Heavier areas, like your shoulders and hips, sink in further, while lighter areas sink in less. So whether you sleep on your back, side, or stomach (or change positions during the night) the mattress adapts to you. You get the exact support and comfort your body needs. REDUCES TOSSING AND TURNING; Pressure points—those spots where the mattress presses against your body—trigger discomfort. Your body shifts position and you toss and turn. As it conforms to your body, TEMPUR material minimizes pressure points that keep you awake. You sleep undisturbed, for a more restful, restorative night. HELPS YOU BOTH SLEEP UNDISTURBED; TEMPUR material dramatically reduces motion transfer, so your sleep partner’s movement won’t disturb you. When two people are sleeping on a Tempur-Pedic mattress, each is supported independently so if one gets up in the middle of the night, the other is likely unaware. You both sleep undisturbed, and get more hours of rejuvenating rest. Provides restful comfort, with a multi-layered cooling system that really works. TEMPUR-Breeze™ mattresses help keep you cool during the night with moisture-wicking fabric to keep you dry and TEMPUR-Breeze™ Cooling material in the top cover and comfort layer to dissipate heat during the night. Cooling comfort for people who sleep hot. The formulation of TEMPUR material engineered at the cellular level to channel excess heat away from the bodyand out of the mattress. 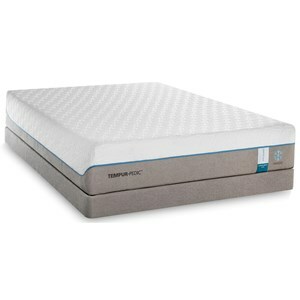 The Twin Extra Long Soft Mattress by Tempur-Pedic® at Morris Home in the Dayton, Cincinnati, Columbus, Ohio, Northern Kentucky area. Product availability may vary. Contact us for the most current availability on this product. Comfortable softness and enhanced cooling features in the TEMPUR-Cloud® Supreme Breeze 2.0 will have you enjoying a great night's sleep. A soft feel for those that prefer a plush mattress and TEMPUR-Adapt™ technology so you still get the support your need. Sleep comfortably and avoid getting too warm with TEMPUR-Breeze® Cooling. A cooling cover offers a cooler surface and the ultra-breathable design of the comfort and support layers wicks moisture and heat away from the body. Transform your sleep and stay cool with the TEMPUR-Cloud® Supreme Breeze 2.0. All Tempur-Pedic mattresses are adjustable base friendly. The TEMPUR-Cloud Supreme Breeze 2 collection is a great option if you are looking for Mattresses in the Dayton, Cincinnati, Columbus, Ohio, Northern Kentucky area. 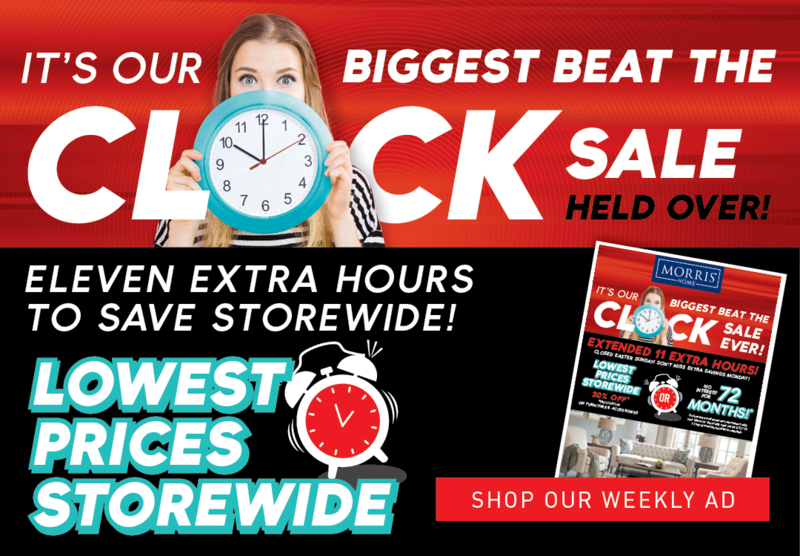 Browse other items in the TEMPUR-Cloud Supreme Breeze 2 collection from Morris Home in the Dayton, Cincinnati, Columbus, Ohio, Northern Kentucky area. Morris Home operates five stores in Ohio and one in Kentucky and prides themselves on being the areas best choice for living room furniture, dining room furniture, bedroom furniture, accent furniture, entertainment furniture, home office furniture, kids furniture, outdoor furniture, and mattresses. Morris' Centerville, OH furniture store, Dayton, OH furniture store, Springdale, OH furniture store, and Columbus, OH furniture store provide furniture shoppers from Cincinnati, Columbus, Sharonville, Kettering, Bevercreek, Huber Heights, and Hamilton, OH a top of the line shopping experience when looking for living room, dining room, bedroom, entertainment, accent, home office and kids furniture. Errors on Our Site: Prices and availability of products and services are subject to change without notice. Errors will be corrected where discovered, and Morris Furniture Co., Inc reserves the right to revoke any stated offer and to correct any errors, inaccuracies or omissions including after an order has been submitted and whether or not the order has been confirmed. If you are not fully satisfied with your purchase, you may return it in accordance with our Return Policy. We have taken great care to provide you with information that is accurate and useful. Please notify us if you find an error, and we will do our best to correct it. We endeavor to list complete and accurate web data as possible. However, due to the sheer quantity of information, complex computer integration, human error and the automated nature of the web, web content may sometimes be inadvertently erroneous. We apologize for any inconvenience this may cause and ask that you contact us directly or visit our stores to confirm information about pricing, color, features, dimensions, availability and special order lead times. Ensure Your Happiness: Please note that some website picture are for illustration purposes only and may vary from actual items available in our showroom. We recommend visiting our showroom prior to purchase to ensure that the fabric, color, and finish meet your expectations.